Do not take treatment from a Reflexologist not qualified in this specialist Reflexology. Reduce bloat and swelling with a detoxifying Lymphatic Drainage Massage. CORPORATE DAYS – Look after your employees. At desk seated neck, shoulder and back massage. Call for a day visit price. Due to insurance restrictions persons under the age of 18 are not permitted on the salon premises. Cancellation policy is detailed below. Natural Therapies vs. Drugs and Surgery? Natural health support, such as reflexology and massage techniques, is an approach preferred by many for living a full and active life. Over the years I have used these treatments to ease and cure my own ongoing conditions. My trust in these ancient methods led me to take structured study, giving me the opportunity to learn and to gain recognised qualifications (e.g. ITEC) allowing me to professionally administer such beneficial health support treatments to those who wish to try. 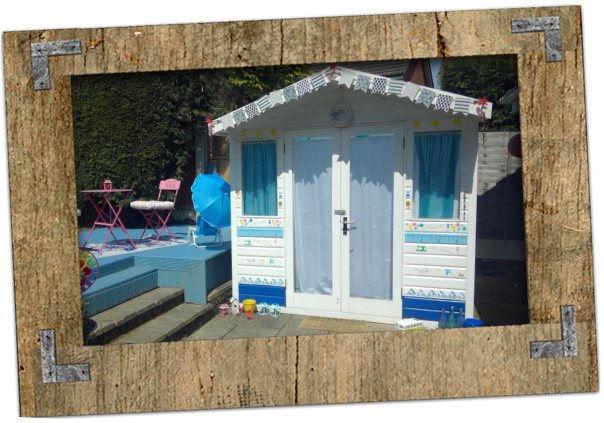 I practice in the privacy and comfort of a purpose-built beach hut in my garden. Come take a stroll along the warm, peaceful beach of your imagination to soothe away your stresses, listening to the sounds of the sea, feeling the light refreshing breeze carrying away your worries and pains. 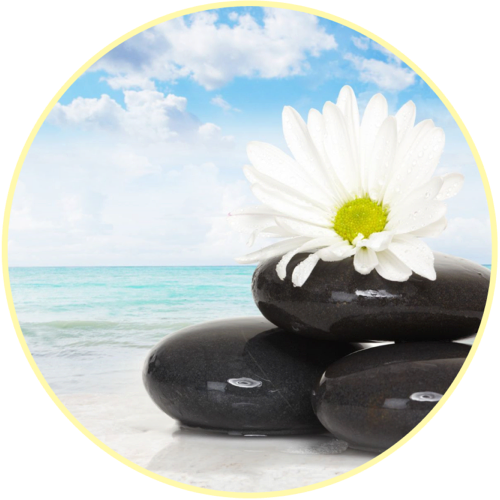 Enjoy your journey to inner peace with Breeze Holistics. 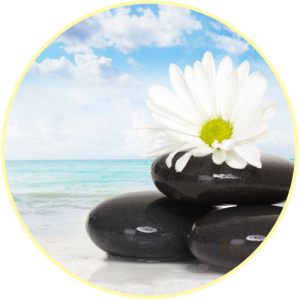 I am a Member of the Federation of Holistic Therapists (FHT), the UK and Ireland’s leading and largest professional association for therapists and is accredited by the Professional Standards Authority. All FHT Members are professional, insured, qualified, and have additionally committed to a continued personal development plan to keep up with latest industry standards and training. I am a member of The Complementary Therapists Association (CThA), a leading organisation representing Complementary, SPA and Sports Therapists in UK and Ireland. This enables me to be kept up-to-date with all the very latest industry news, products and treatments (The CThA does not endorse or approve any products or services). I am also a member of the UK’s largest online directory of complementary and beauty therapists: embodyforyou.com. 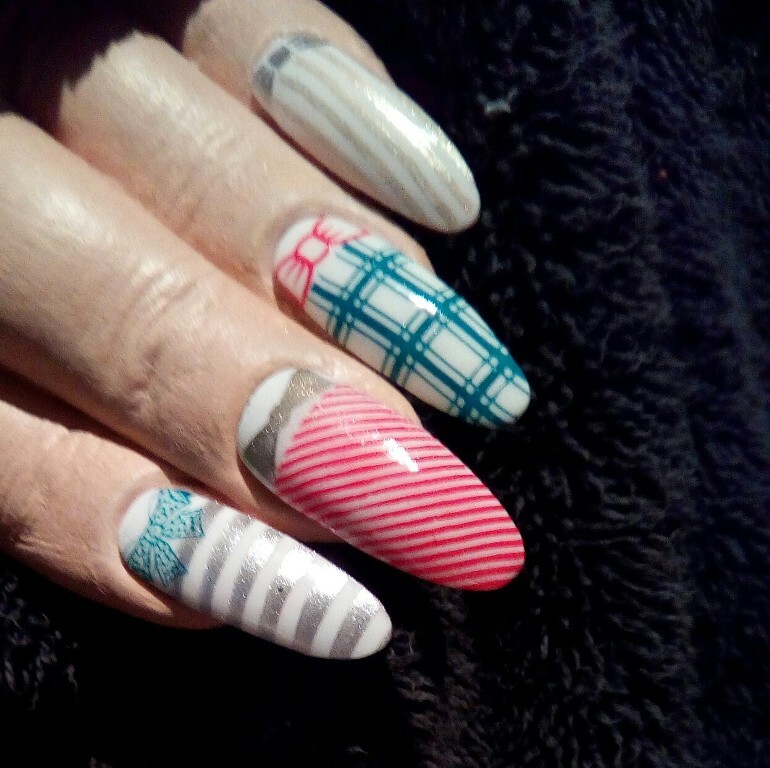 Why not get the girls together at your own home for a creative new pampering experience. 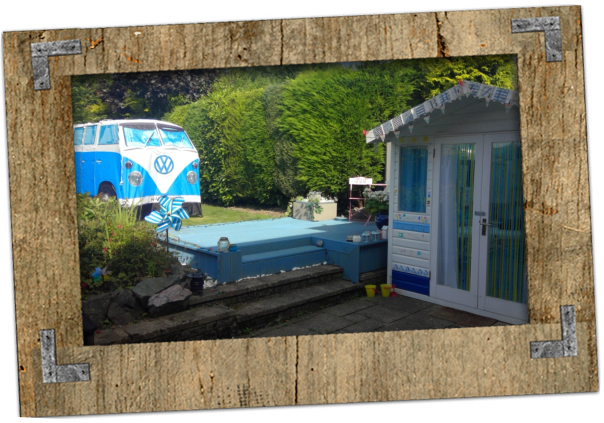 Breeze Holistics now cater for both indoor and outdoor pamper parties and events catered for with our Campervan style mobile unit, creating both a fun and self-indulging experience for everyone! 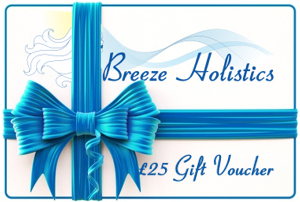 Why not surprise your loved one with a gift voucher from Breeze Holistics, available in various amounts, ask for details. Holistic Therapy aims to achieve balance, not just in the physical body but also in mind and spirit, leading to an improved sense of overall wellbeing. When this goal is achieved it is said the person has reached a state of homeostasis. Simple changes to lifestyle and approach to health can help in the journey to homeostasis. Below are some of the choices available for using holistic therapy to achieve homeostasis. Reflexology is an ancient treatment based on the principle that the feet are a map of the body. A specialist treatment working on the basis that by applying precise and directional pressure to reflex points on the feet corresponding to specific parts of the body and systems, the body is stimulated to heal itself. A qualified reflexologist can identify areas of concern and suggest referral for assessment and diagnosis by a GP or specialist. If preferred this treatment can also be applied to the hands. 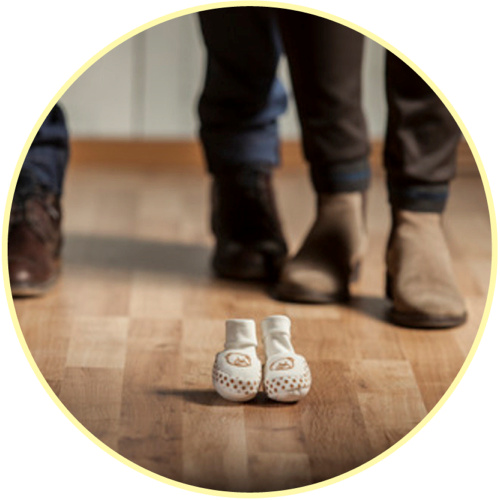 Fertility and Pregnancy Reflexology MUST only be given by a Reflexologist who, like myself, has received further training and certification for this specialist treatment as untrained hands and limited knowledge could cause miscarriage. 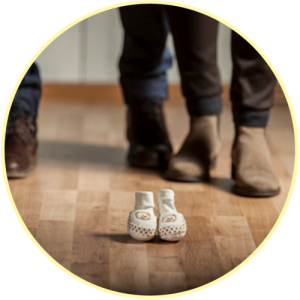 The treatment plan is aimed specifically at couples during pre-conception, women after the 14th week of pregnancy, labour and the post-natal period. Please note that certain conditions do not permit this treatment during pregnancy such as Placental abruption or praevia, HELLP Syndrome, Toxaemia: Pre-Ecclampsia – Ecclampsia, Pica Syndrome and DVT – Deep Vein Thrombosis. Other conditions may require sign off from your midwife or specialist. Massage stimulates and soothes the muscles and joints of the body and helps to relieve tension and pain. 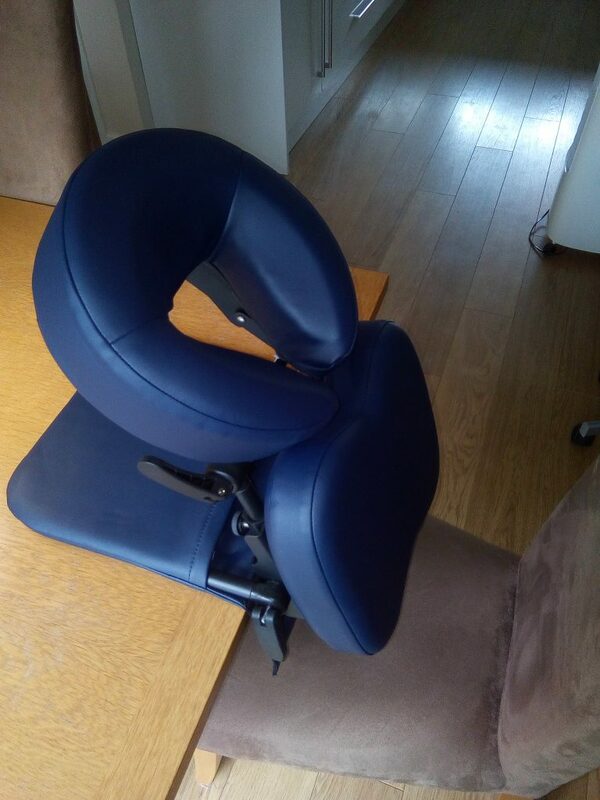 Varied lightness of pressure can be applied to suit the client’s needs (please note this is not a deep tissue or sports massage). 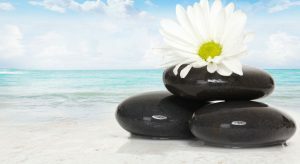 Hot Stone Massage involves the specialist use of heated, smooth basalt stones to warm and relax the muscles whilst being used as a tool to further massage away pain and tension. It is a deeply relaxing massage that can aid pain, stress and promote better sleep. Lymphatic Detox Massage is a specialist treatment, only to be administered by a qualified MLD Therapist. It gives particular relief to heavy, tired legs, swollen ankles and a general feeling of bloat. It is also an aftercare treatment highly recommended by clinics for patients following liposuction procedures. 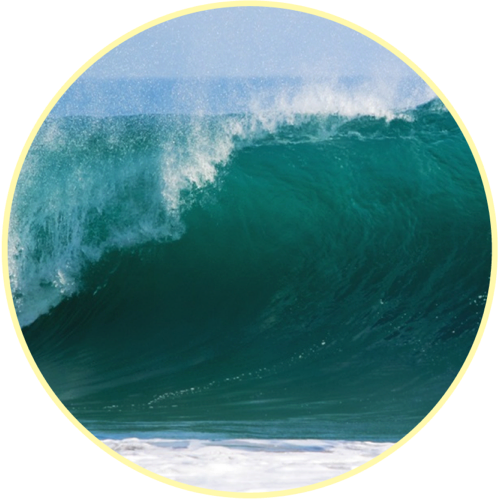 The massage pressure is very light to emulate and assist the lymphatic flow to reduce swelling, puffiness, and cellulite whilst strengthening the immune system and encouraging natural detoxification. Many people are unfamiliar with the circulatory lymphatic system and are unaware of its essential role and benefits to the body. The system moves approximately 3 litres of lymphatic fluid around the body every day; delivering nutrients and boosting the immune system, expelling excess fluid, cellular waste, bacteria, viruses and toxins. A very relaxing massage that cleanses the body and mind. 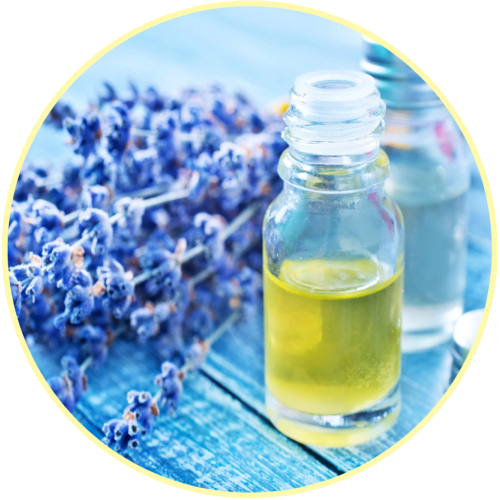 Aromatherapy uses essential oils specific to the individual’s needs. These oils are natural extractions from nature (plants, trees etc). They are nature’s gift for healing with no known side effects. The massage pressure is light producing a soothing and relaxing massage therapy. This therapy can be used to treat muscular pain, stress, anxiety, sleep problems and many more symptoms commonly suffered. Please note that some treatment restrictions may apply in relation to existing and diagnosed ailments/conditions. A medical questionnaire is required to be completed prior to treatment and permission may need to be sought from your doctor/specialist. All information given is treated as strictly confidential. 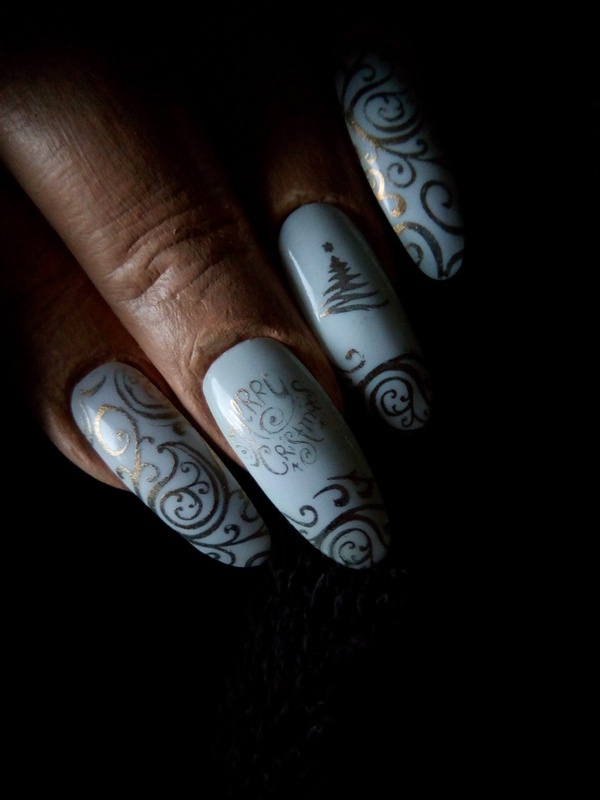 Feel beautiful top to toe with professionally pampered nails for both hands and feet. 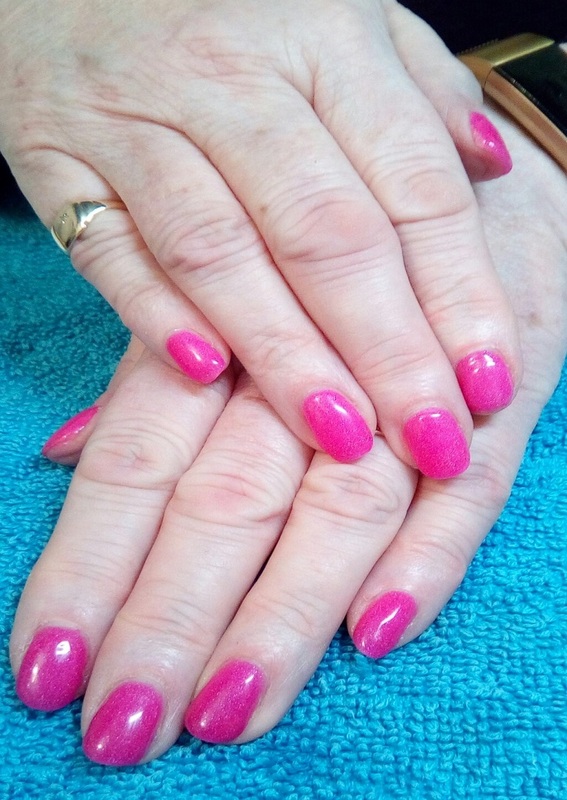 As a qualified Nail Technician I can offer services from a simple natural tidy-up to gel nail colours, extensions, strengthening, soak off and various types of nail art. 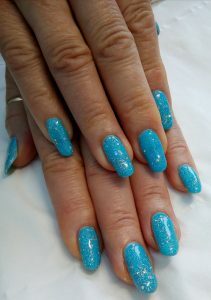 I offer Bluesky nail products as they have a range of 3000 salon quality products with the added bonus, close to my heart, that they are not tested on animals. Don’t take them off yourself. 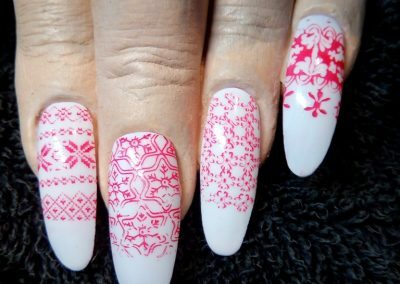 Picking and pulling the nails off will damage your natural nail, rip layers from your nail plate, and make regrowth a long, painful process. 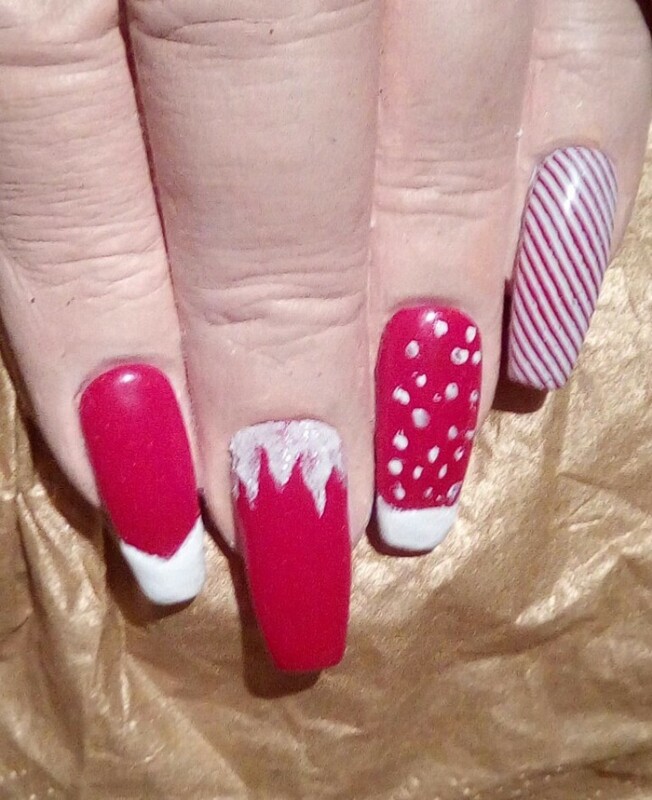 I am trained to safely remove nail enhancements. If you break a nail or if a nail begins to lift, schedule a repair appointment. 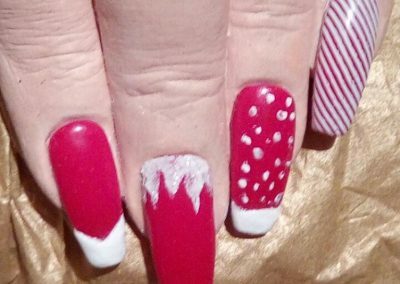 Do not attempt to fix the nail yourself. 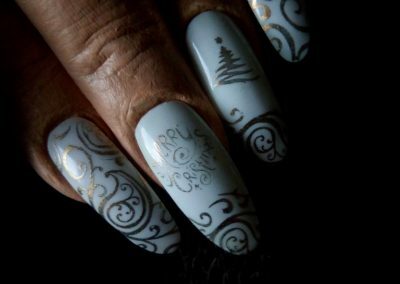 Improperly gluing down a loose nail can cause moisture to become trapped between the nail and the enhancement and possibly cause an infection. 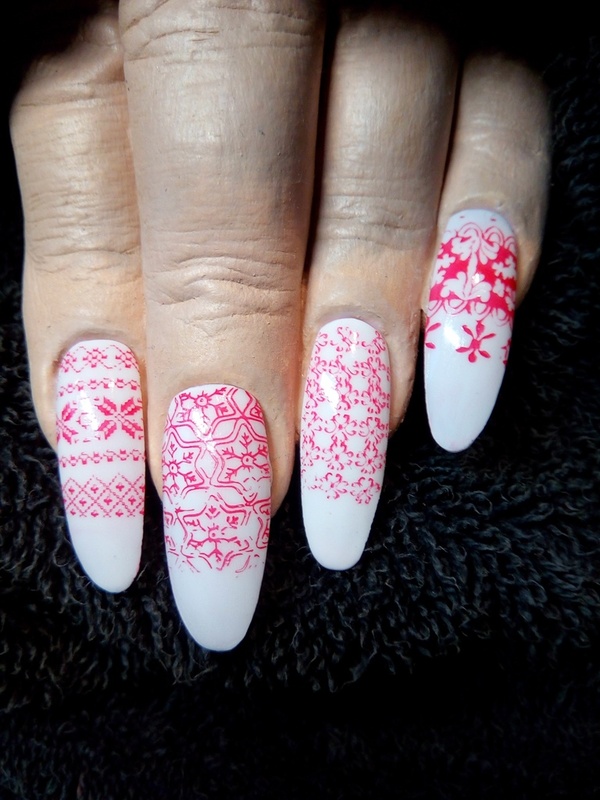 Do not bandage a broken nail as bandages may also trap moisture. 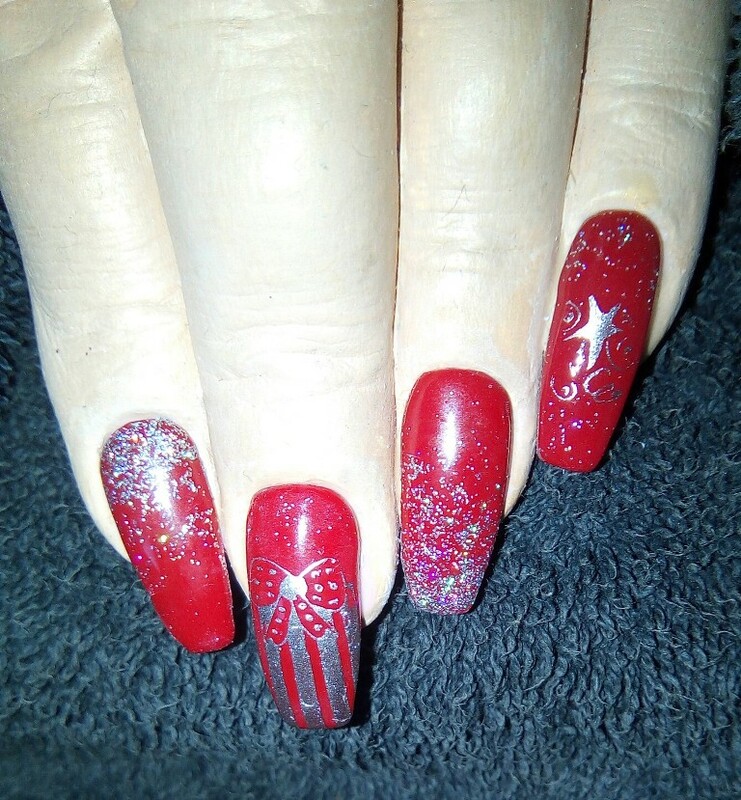 If you feel it necessary to take down the length of your nails or enhancements please be aware that this will throw off the balance of the nail and may make the nail look bulky. 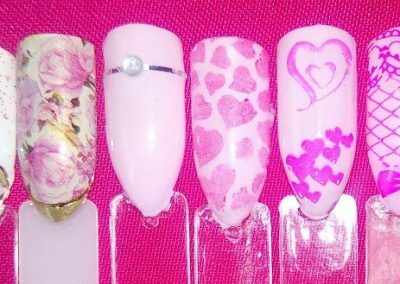 Treat your nails like jewels. Protect your investment by wearing gloves when gardening, exposing hands to water for extended periods of time or doing housework. 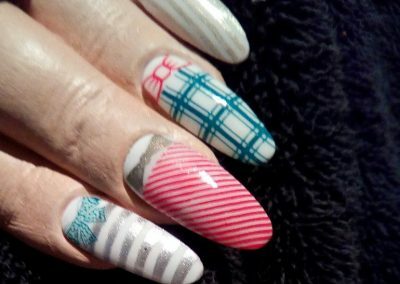 Do not put upward pressure on your nail tips. Cuticle oil is a daily necessity as it keeps cuticles supple and the added product moisturized and flexible. 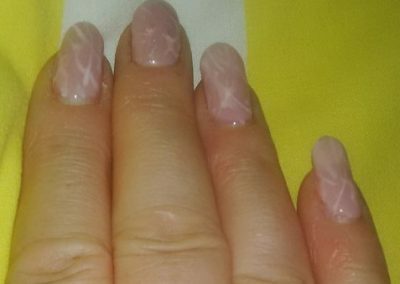 Do not bite or rip loose skin (sometimes referred to as hangnails) around the nails and cuticles, this could lead to soreness, infection and unsightliness. Be mindful to avoid the ingredient Deet, usually found in some sun products and insect repellents, as this can cause discoloration and detachment of the product. Listen to your Nail Technician. 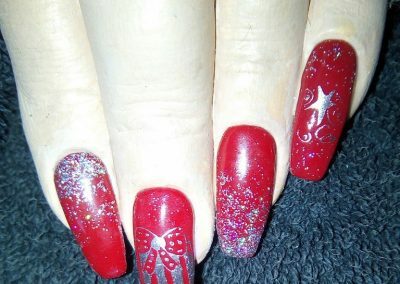 Can’t decide what length and type of enhancement you’d like? I will be more than happy to make a suggestion. 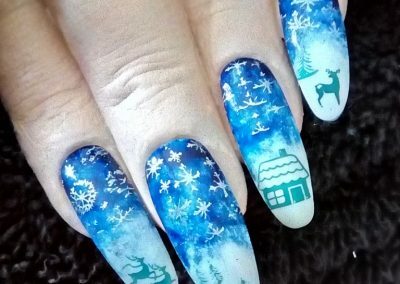 For example, if you’re hard on your nails because you work on a computer or do heavy work, shorter nails may be your best option. Call in sick. 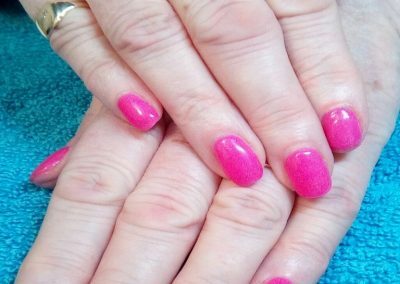 If you have a contagious skin or nail condition, wait until it clears before visiting the salon again. If symptoms persist, make an appointment with your GP. Be aware of what you have. 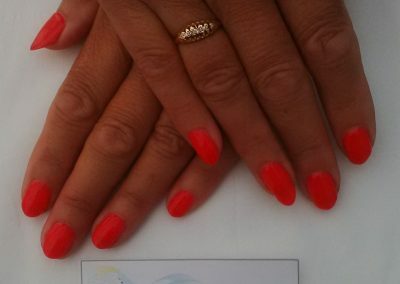 Very few clients will develop allergic reactions to an ingredient in some nail products. 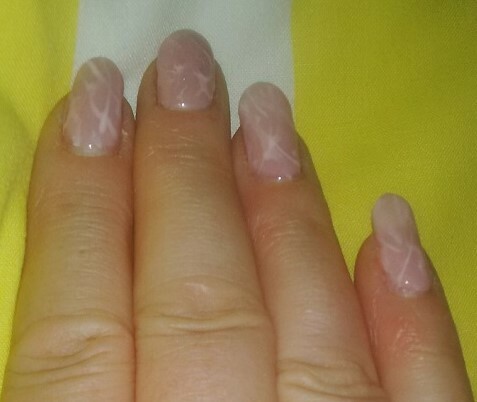 Allergic reactions are characterized by redness, itching, swelling, dryness and peeling of the skin around the nails. 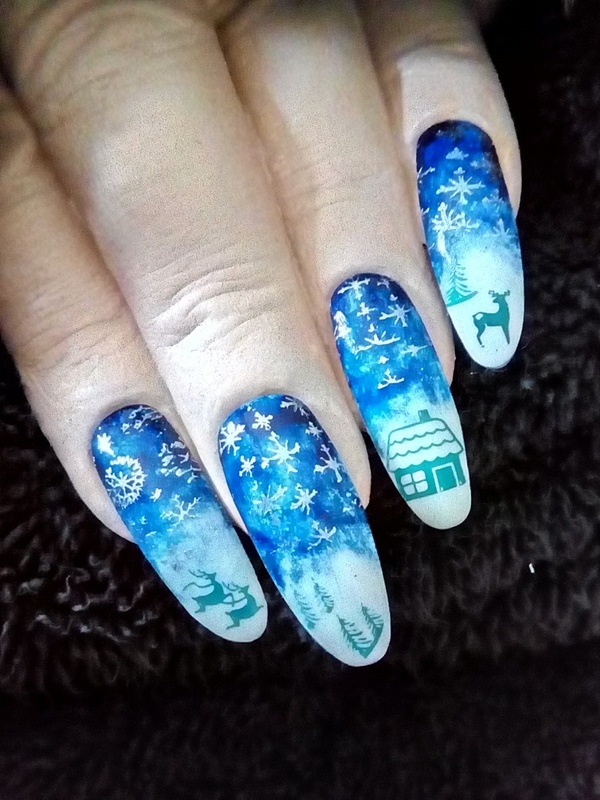 Do not ignore a condition that develops around the nail. 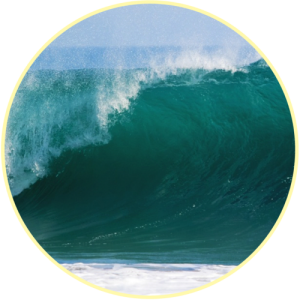 The reason you are seeking holistic treatment and what you hope to achieve from it. Are you pregnant? Treatment cannot be given in the first trimester and only considered restricted treatment thereafter with permission from your GP. Have you any contra-indications (reasons you are unable to receive treatment), as outlined on the medical questionnaire, that require further investigation or consent by your GP or Specialist? Do you need to bring anyone with you? Make a list of your current medications and supplements. Be aware of their risks, side effects and restrictions as it is your responsibility, not the Therapist’s, to know their restrictions and contra-indications. Have your GP’s address and details available. Have dates and information available regarding any recent operations, illnesses, etc relating to contra-indications requiring medical permission or that may restrict treatment as outlined in the medical questionnaire. Please ensure you are wearing clothes that are easy for you to undress and dress as, if treatment takes place, you may be required to undress to your underwear. Eat a heavy meal immediately prior to treatment. Clients receiving Aromatherapy and Lymphatic Detox Massage are advised not to use body lotion, moisturiser or make-up. 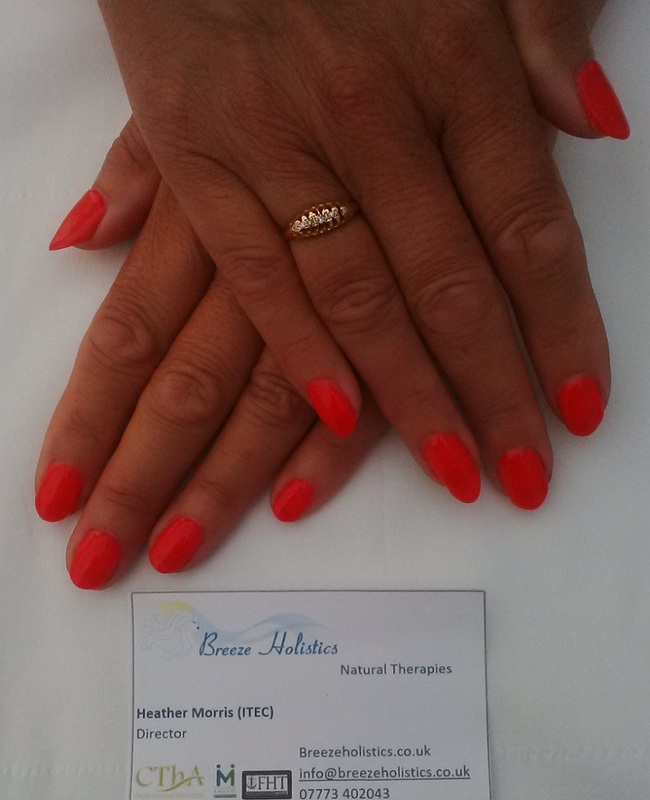 Reflexology clients are advised not to wear nail varnish to allow for assessment of the toe nails. You are too hot or cold. Drink plenty of water to aid the detoxification process and to quench thirst that may occur after treatment. Avoid alcohol, fizzy drinks, tea and coffee and caffeine. Go to the toilet as often as needed – you may need to urinate more often. Take time to relax.You may experience a slight headache. Ensure you spend the rest of the day/evening in relaxed surroundings with the intention of having an early night as you may feel tired and sleepy. Seek medical advice/assistance if you are concerned about any known or new symptoms/conditions you experience. Follow any additional advice given to you by me. Wash away the Aromatherapy oils for at least 12 hours. This applies to clients receiving Aromatherapy as this will allow time for each oil to complete its treatment process. Please complete and submit the medical questionnaire client consultation form. Please download, print, complete and return the client disclaimer. Please note that appointments cancelled or not attended without 24 hours notice will incur a £20 cancellation fee.